The first is a quarter wave ground plane antenna for the 2m ham radio band. 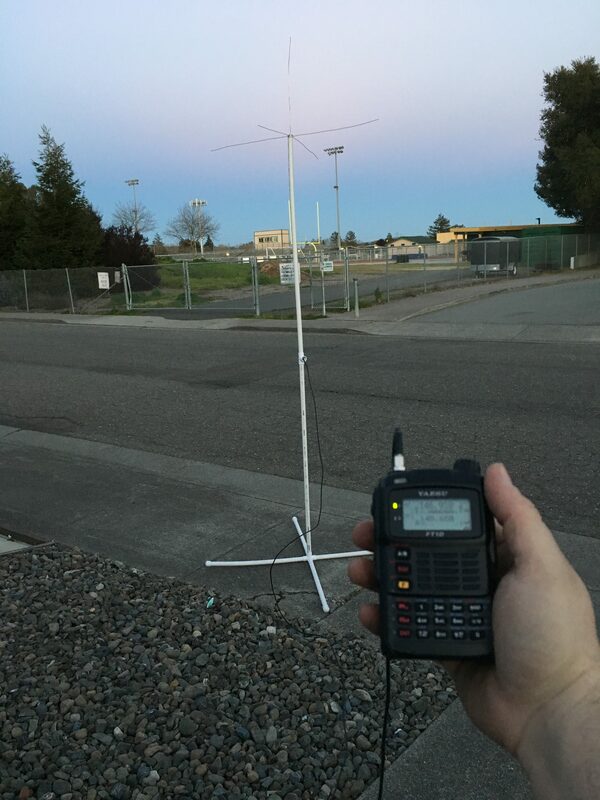 The second is a semi-portable PVC pole/stand to get the antenna about 8ft in the air. 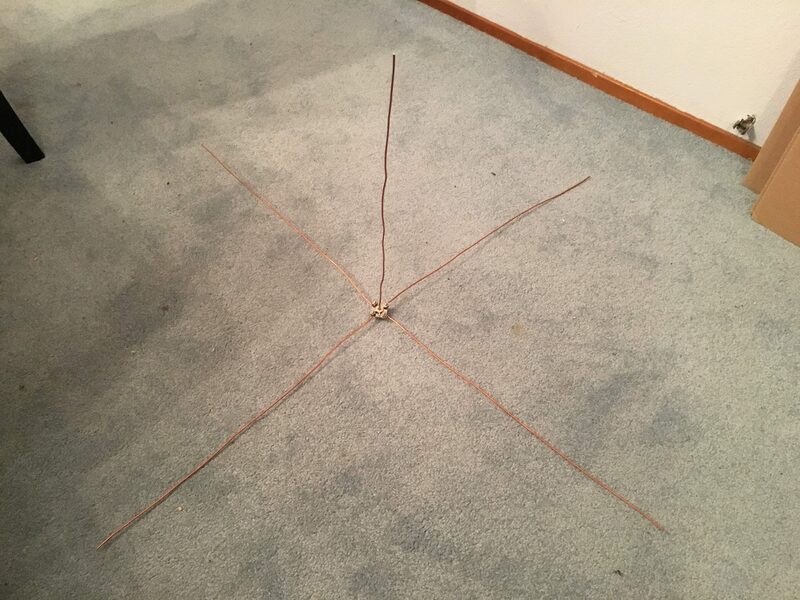 My initial plan was to raise the antenna up 12ft, but my quick-and-dirty design made with lengths of ¾in PVC wasn’t stable enough to stand on its own. I have ideas for fixing that, but this shorter version worked well enough to participate in a ham net on a local repeater tonight. I’m going to see if I can hit a couple of repeaters down in the Bay Area later this week using this set up. Next Next post: Why do I even still have this site?